Early Stone Age Acheulean stone artifacts and Oldowan tools were excavated at archaeological sites around the falls, as well as Sangoan tools and Lupemban artifacts dating to the Middle Stone Age.Early Iron Age pottery was excavated at a vlei site near Masuma Dam in the early 1960s. 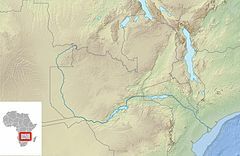 Evidence for iron smelting was also found in a settlement dated to the late 1st millenium AD. 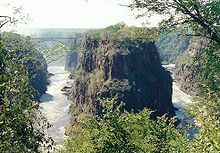 ^ "Livingstone Tourism Association, Victoria Falls, Zambia". 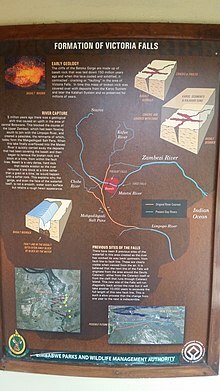 livingstonetourism.com. Livingstone, Zambia. Retrieved 7 August 2018. ^ "Makgadikgadi Salt Pans". earthobservatory.nasa.gov. 2018. Retrieved 16 August 2018. 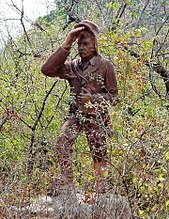 ^ "Geological history - Botswana Travel Guide". 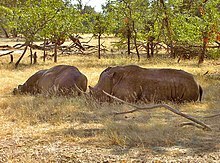 www.botswana-travel-guide.com. Retrieved 15 August 2018. ^ Moore, Andy (2016). Viljoen, Richard; Anhaeusser, Carl; Viljoen, Morris (eds.). 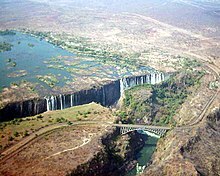 The Victoria Falls and gorges, in Africa's Top Geological Sites. Cape Town: Struik Nature. pp. 16–20. ISBN 9781775844488. ^ a b c d Moore, Andy; Cotterill, Fenton (2010). "15". In Migon, Piotr (ed.). 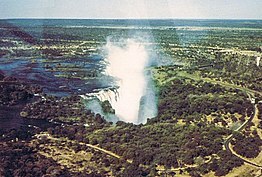 Vicotria Falls: Mosi-oa-Tunya - The Smoke That Thunders, in Geomorphological Landscapes of the World. Springer. p. 147,149. ISBN 9789048130542. 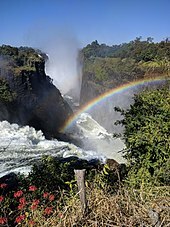 ^ "Victoria Falls in Zimbabwe, October 2017". Independent Travellers. independent-travellers.com. Retrieved 7 April 2018.